Note: a comment from yours truly on Indigo’s stock price drop, in the National Post. 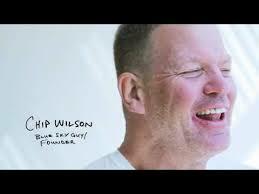 Now we know why Lululemon founder and chairman Chip Wilson stays mainly behind the scenes. Words that are shocking, really, for the force with which they contradict the message Chip has used to seduce millions of women into spending $100 for a pair of yoga pants and made Lululemon a North American icon at the intersection of inclusivity, spirituality and physical well-being. 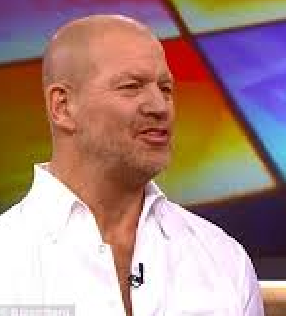 Chip unwisely unshackled himself Wednesday to give the Bloomberg interview, in which the anchor asked him about Lululemon’s highly-publicized quality problems, including see-through yoga pants and perceived cheaper materials and workmanship. May we remind you, Chip, that your yoga pants are also called STRETCH pants? 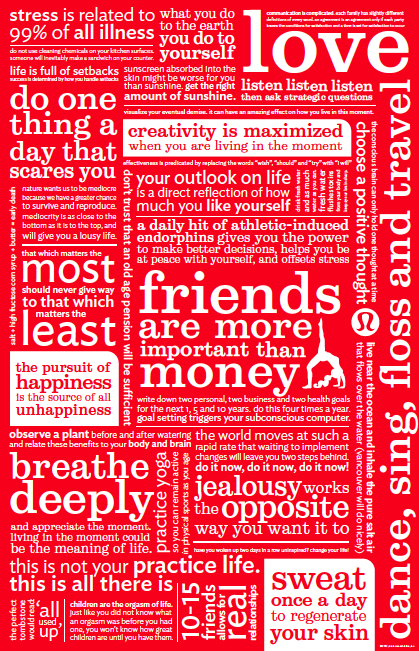 To my clients I have spoken countless times of Lululemon’s “remark-ability”, i.e. the incredible word-of-mouth power they generate through the empowering Manifesto and pants that flatter a woman’s figure to the max. And I maintained that Lulu’s quality problems were not a big deal – such was the depth of my faith that the brand’s positive culture would see them through these rough patches. But Chip’s words bring into focus the possibility that the Lululemon brand is, for the supreme lack of a better word, complete and utter bullsh|t. They are a grave insult to every woman who ever decided to try getting in shape, who bought-in to the Manifesto, who tried on Lululemon and decided that her body could be, or even was, beautiful, and who carried the ubiquitous Manifesto bag home, beaming. In a nutshell, Chip is calling you fat. Oh, and unworthy as well. And to the rest of the women who wear Lululemon, those who have killer bodies: Chip is indicting you as well. Even with your physique, you are still vulnerable to the feeling that you don’t quite measure up. Chip validates your fear by raising the possibility that if you let yourself slip, you might be unworthy as well. Further on the matter of worth, same-store sales are dropping, as are overall revenue and profit projections – the effects of supply chain problems caused by product recalls and a heightened focus on quality control. Lululemon can focus on product quality all they want. But if Chip doesn’t profoundly re-examine his beliefs, publicly acknowledge that he betrayed the brand, and either never make that mistake again or just plain get off the stage, this could be the beginning of the end for Lulu. Along with the Dutch pitchman and his “Save your money” slogan, ING Direct succeeded at making the colour orange synonymous with its brand. The Dutch guy long gone, ING has banked on the orange motif in renaming the brand as Tangerine. Names have a lot of important jobs to do, noted below in bold. How well does Tangerine get them done? The first is to be remark-able, or worthy of word-of-mouth, in order to break through the thousands of appeals fighting for our brainspace each day. Tangerine does very well on this dimension: because the name is so distinct from others in the banking space, there is a high likelihood you will mention the name to someone you know. And you’ll be able to mention it to someone because it is highly memorable. On the other hand, it is not clear whether Tangerine does a good job expressing the essence of the brand – and for remark-ability to be supercharged, the brand position must be clearly understood. In the absence of an awareness campaign at this early stage in Tangerine’s life (the name change will formally take place in the Spring), the consumer will look to either the name itself to convey this message, or to the tagline, Forward banking. Here we have a challenge, because Tangerine is a relatively abstract name that does not communicate an obvious sense of what the brand is about (not that there’s anything [inherently] wrong with that). And so we try to reverse-engineer the brand’s essence by looking to the tagline, Forward banking, for clues. It quickly becomes apparent that there is no clear, meaningful connection between Forward banking and Tangerine, and so the name falls short of achieving synergy with the tagline. Think of the 1+1=3 effect achieved by Visa: It’s everywhere you want to be. Each of the name and tagline reinforce the other, creating more brand value through a network effect. With Tangerine: Forward banking. neither the name nor tagline say anything meaningful about the other, amounting to a lost opportunity. Conveying rich meaning is crucial, being an essential ingredient to inspiring and attracting stakeholders including employees, customers, investors and the media. Tangerine may have this power. It is cute and fun. It tells audiences that the brand experience will be friendly and easy – maybe even sweet (which might work well in a new tagline, because of its synergy with the name). Aside from passing a linguistics check (to ensure it doesn’t mean anything offensive in Swahili and other target languages) and a legal check (to gauge the possibility of a lawsuit if someone else is using it), what remains is the job of creating a new naming system or leveraging an existing one. A&W opened for business with the Baby, Mama, Teen and Papa burgers. Later they added the Grandpa, Uncle and Buddy burgers – thereby creating that network effect in which each name increases the value of the name portfolio as a whole, by making each one more memorable and meaningful. We can’t know if Tangerine is the first in a system of fruity or colourful names, although it does not appear to be related to any name ING Direct already has. But, the name is obviously derived from and leverages the colour orange, a very valuable asset for this brand. So is Tangerine, developed by Lexicon and John St. Advertising, a great name or not? Paradoxically, the answer relies not upon the name itself, but upon the brand experience received by customers. If the experience doesn’t live up to the promises implied by the name – fun, friendly, easy, and whatever else the brand owner embeds in the name over time – the name turns rotten. Your opinions are always welcome, especially if you disagree with something you read here. Just use the comments form at the bottom of the post. You will always receive a response, along with our sincere appreciation for joining our community. QUIZ: Does Your Brand Mean Business? This entry was posted in best brand names, brand character, brand experience, brand foundation, brand identity, brand messaging, brand names, Chief Brand Officer, hypermessaging, logos, positioning, remark-able, taglines, trademarks and tagged andris pone, BNN, brand names, Brand: It Ain't the Logo, branding, Cache, CBC Radio One, ING Direct Tangerine, lululemon, lululemon manifesto, national post, Visa. Bookmark the permalink. 2 Responses to Lululemon May Be BS; Tangerine May Be A Peach. I hear you on the fruit issue. I wonder if they will use the name more as a colour vs. a fruit. Would that make a difference to you? I think of Ornge and how there is no fruity connotation at all.